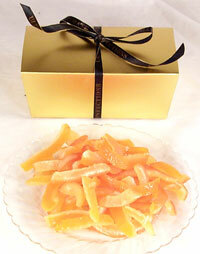 The original Australian Candied Orange Peel. Perfect candied peel is fragrant with ripe citrus and just sweet enough to make you forget you're eating what is essentially something so bitter that you'd normally spit it out. One full pound.